A break for lunch and a good hour of catching up with users from across all sectors – local government, central government, academia, forestry, planning consultancies, developers, student life and education. 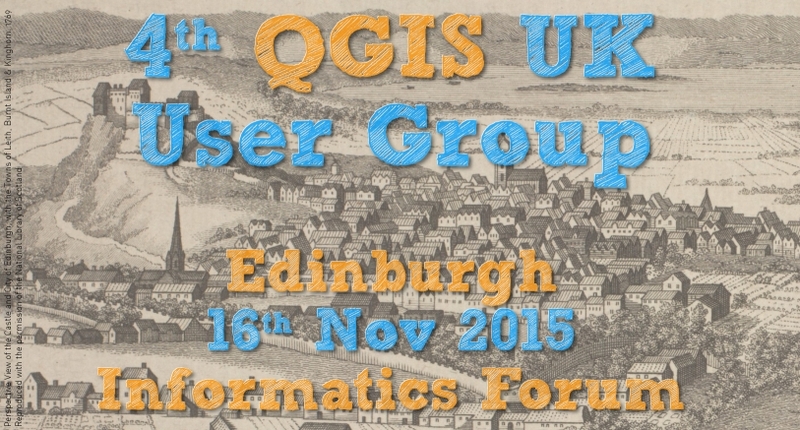 QGIS is popular and is obviously a flexible tool that meets many demands. After lunch, Neil, from thinkWhere, organised a quick-fire “quirky QGIS quiz” with random questions from all aspects of FOSS4G demanding quick thinking for true/false answers. At least half the audience grabbed prizes courtesy of thinkWhere and Ordnance Survey. 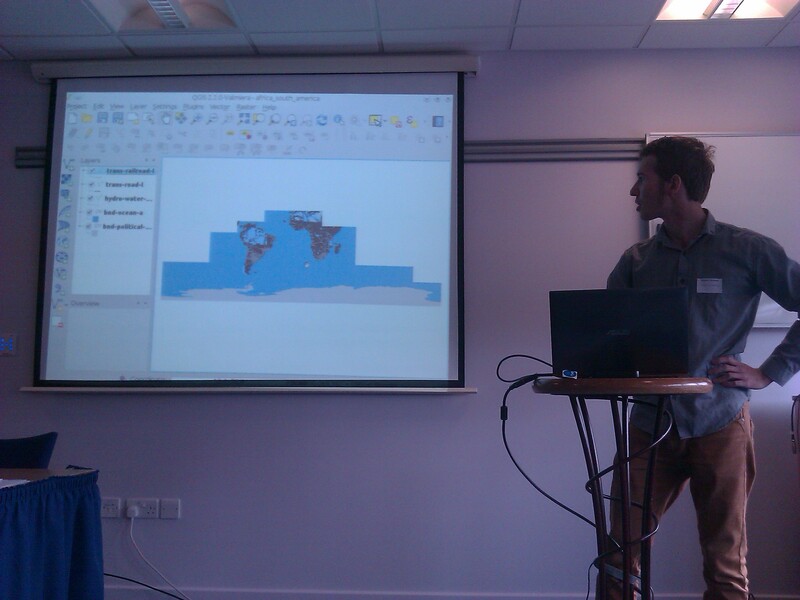 What followed was a series of lightning talks on different aspects of using QGIS. 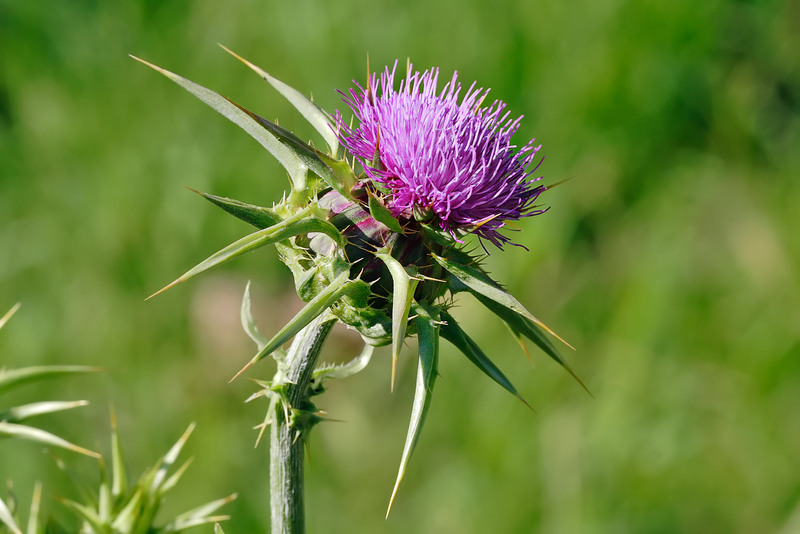 Amy, from Cawdor Forestry, gave a brief overview of the plugins available in the QGIS plugin repository and highlighted some of her personal favourites. 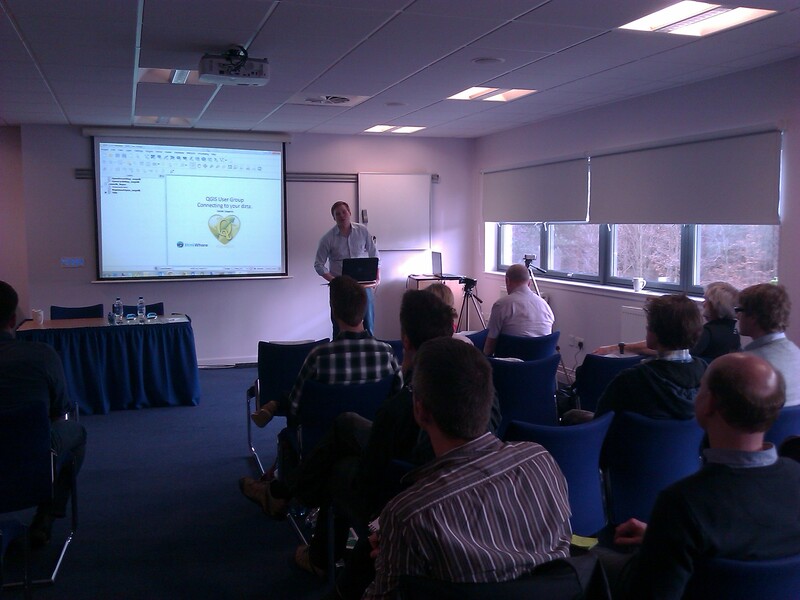 Paul, from Scottish Water, showcased some of the complex workflows created using SAGA, QGIS and the Processing Toolbox to model hydrological process. 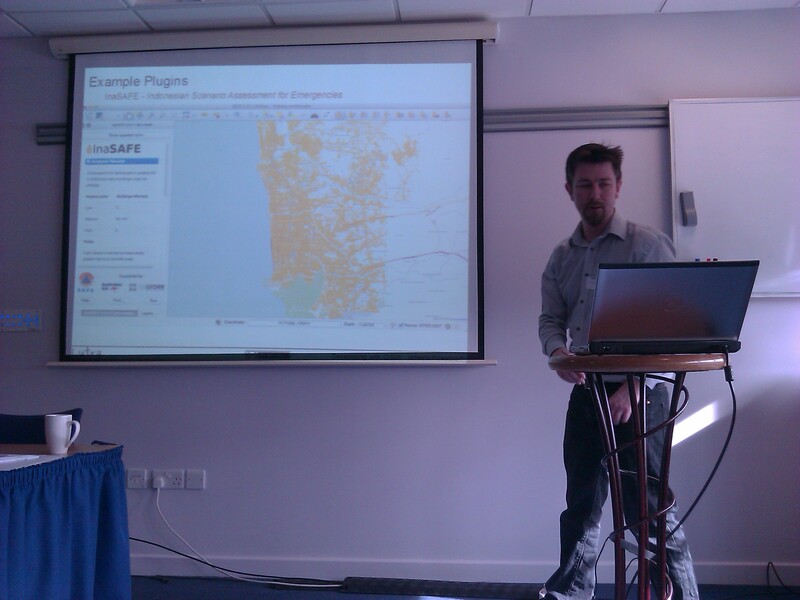 Ross, from Inverclyde Council, demonstrated the use of the QGIS Road Graph plugin to generate walking routes to school across a custom road and path network. 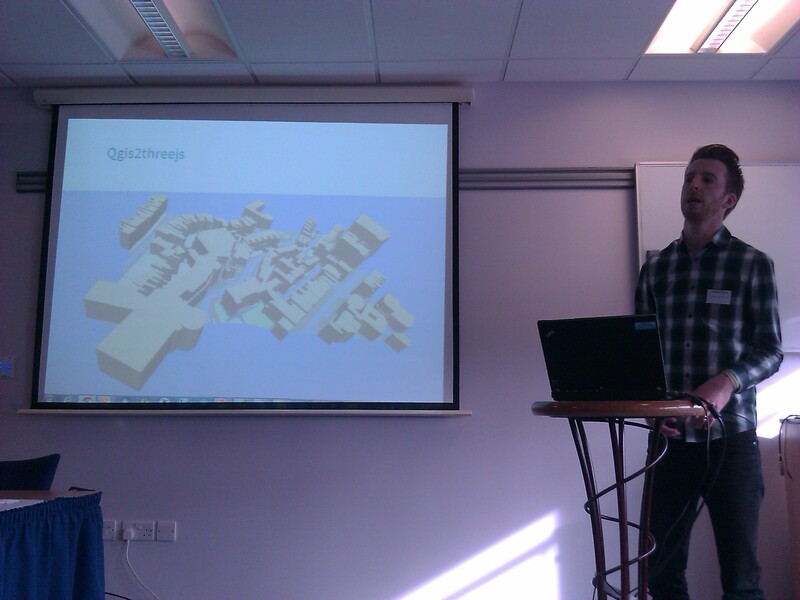 Seb, from West Dunbartonshire Council, showed us how QGIS had put them in a happy place and showed how a “hearts and minds” campaign championing QGIS had changed the way they worked. Steve, fae Embra, gave some information on how to give back to the QGIS project through submitting Processing scripts and plugins to the repository. Don’t reinvent the wheel! 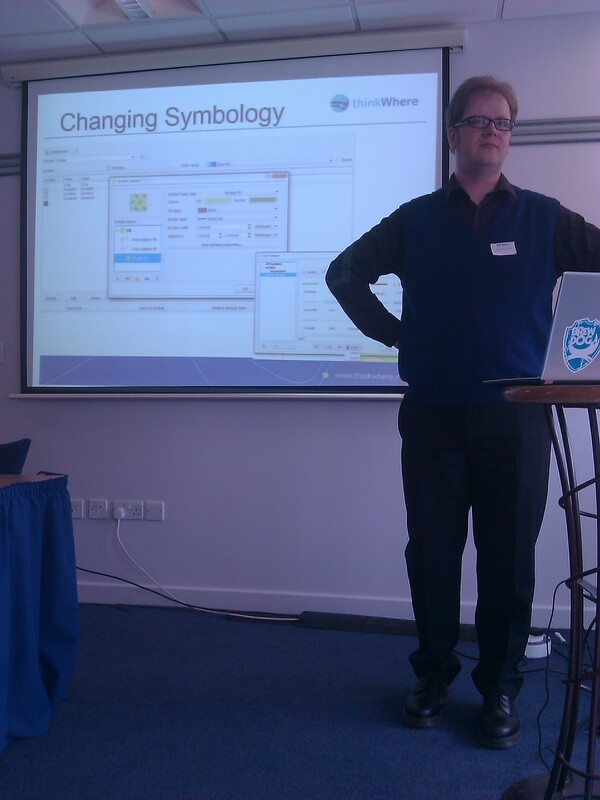 Ross, from Angus Council, gave a quick demonstration of setting up a local plugin repository that could be used to share custom plugins or control access to plugins in an internet-less environment. By this time, tea and cake was required and it gave everyone an opportunity to mix and ask questions of the speakers. Tom, from EDINA, explained the processing of creating and delivering a QGIS training course to University staff and students. The first class sold out in next to no time and there is demand for more. Makes sense really, doesn’t it? The day finished with Pete (Lutra Consulting) releasing into the open a new Search plugin for QGIS called Discovery (http://www.lutraconsulting.co.uk/products/discovery/) based on the PostGIS Search plugin from Tim Martin (Ordnance Survey). A very useful addition to any QGIS installation. 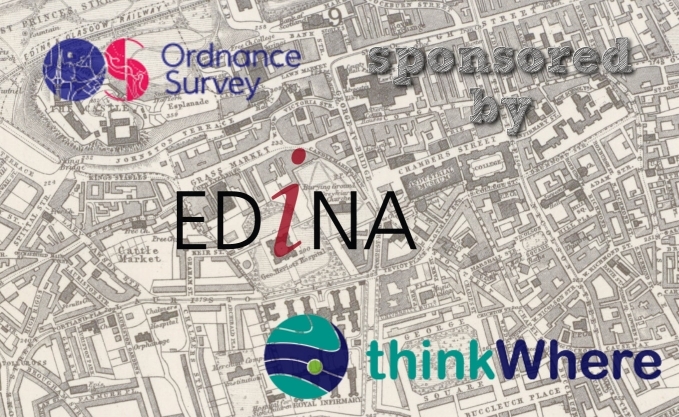 The day was sponsored by EDINA, thinkWhere and Ordnance Survey. Links to slides will be coming shortly.